It is inevitable that, in the process of chipping the rough edges off of our ashlars, our hands will occasionally slip and miss the mark. Even the most skilled of craftsmen make an occasional error, and how we handle what comes next is what defines us as men and as Freemasons. When I speak of a Masonic mistake, I’m not referring to mixing up words in ritual, or even leaving out whole paragraphs of lectures. That is completely natural, and happens to even the best ritualist. In the words of one of my mentors, the next perfect degree you see performed will be the first! Instead, I’m speaking of the more important mistakes. Maybe you’ve cheated a brother, or spoken ill about him, or (if you’re anything like me) said something very stupid that caused him pain. The nature of the mistake will vary from situation to situation, so I want you to think back to the last really stupid thing you did, and keep that in mind while you read the rest of this. I’ve been lucky enough in my life to make more mistakes than I can remember. I’m rather loud and outspoken (my closest friends would say brash and abrasive), which has often led me to say the wrong thing at just the right time, often causing chaos and hurt feelings in the process. Since this is the one area that I’m truly an expert in, I’d like to share with you some things I’ve learned over the years. The first thing you need to do is admit to yourself that you made a mistake. I know, it seems stupidly obvious, but I guarantee you that this is very difficult for most of us to do. You have to know that what you did/said/didn’t do/didn’t say was wrong, understand WHY it was wrong, and be able to feel both the damage that it caused, and the damage that it might still cause. This is more than just saying “Oops, I screwed up, sorry”. It requires you to internalize your mistake, and really see it from someone else’s point of view. This is difficult, and often terrifying, because it forces you to examine yourself in a way that can be very uncomfortable. Because of this, it often can take years just to complete this one little task. If you do not do this, however, anything that follows will be very insincere and false, and will only compound your mistake, so it is very important that you do not skip this! Often, when we are confronted with a mistake, our natural reaction is to deny it, or to shift the blame somewhere else. By internalizing it, we are forcing ourselves to own up to our flaws, which will in turn help us to smooth that ashlar a bit more. Once you have internalized your mistake, most people’s reaction is to want to jump directly to apologizing, and trying to fix whatever they did. This is natural, and a good sign that you’ve really finished step one, and absolutely the wrong thing to do. Before you approach that brother to apologize, you should take some time to think about your apology and assess the situation. Does your mistake carry legal or Masonic repercussions? Perhaps you should speak with a lawyer first, who can better advise you than any blog could. Will you approaching the brother make the situation worse? Getting advice from a third party is usually a good idea; they generally can see the situation more objectively, and can help you decide how to proceed. Outside of those few odd situations, though, making amends is almost always the best option. Note that this is more than just making an apology; it’s an attempt to make the situation right. Before we get into apologizing, I’d like to address something happening in the corporate world right now. I call it the “Feel/Felt/Found fallacy”. Many corporations are teaching their employees to not admit that the company has made a mistake, or that the product is flawed, but instead to find a way to sympathize with the client and offer a solution that may or may not fix the actual problem. This is a pretty classic sales technique, and there is nothing inherently wrong with it when it’s being used to make an honest sale. Where I take issue is when it’s used to deflect an issue instead of address it. Here is another example, taken from the training of a company I used to work for: “It sounds like you feel your agent was dishonest about the features of the insurance you purchased. When other clients of ours have felt that way, I’ve found that reviewing their policy with them clears up any confusion they may be having. If you have a few minutes, I would love to review your policy with you, and we can discuss all of the benefits it includes!” That sounds really good, doesn’t it? Notice how it didn’t actually address the customer complaint at all! Instead of looking into if the agent lied to the client, it redirected the client into reviewing the parts of the policy the agent wants to discuss: the benefits. Of course, if during that review the client finds there is something that they believed was covered that isn’t, that is just an opportunity to make an additional sale to fill that gap. So, with those caveats in mind, it’s time to apologize. I personally like to apologize in writing, for two big reasons. First, it forces you to admit your mistake in a way that cannot be taken back or forgotten quickly. In writing, there is hard proof that you cannot deny later, and the person who receives it will always be able to re-read it if they need to. Second, and more importantly, is that it’s usually my big mouth that got me into the situation to begin with, so keeping that silent saves me from saying something even worse! Writing gives you the ability to think about what you want to say, how it will sound, and what it really means. My apologies usually follow a very similar format. This isn’t to say that they are insincere, as each one is heartfelt, but I find having a structure ensures I don’t leave out something important such as the apology itself, which many people conveniently “forget”. I start by admitting and apologizing for what I did. For instance, “I am very sorry that I sat on your top hat.” Pretty simple and straightforward, but as I mentioned, many people (especially politicians and celebrities) forget to do this. You can see the same “non-apology” being given by other politicians such as Rob Ford, and by celebrities such as Paula Dean and Michael Richards. It’s not an apology, nor should we accept it as one! After apologizing, I try to explain the situation or intention of my action. This isn’t the time to make excuses, but to share information. Continuing the example from above, “I did not look closely before sitting down.” Note, I didn’t make an excuse (such as “It was too dark to see”) or blame someone else (“You shouldn’t have left it sitting there”). Finally, it’s important to try to find a way to make amends (“I will buy you a new hat as a replacement for the one I damaged.”) It isn’t always easy to make amends, but if you have truly internalized your wrong-doing, you will actively want to find a way to make it right. 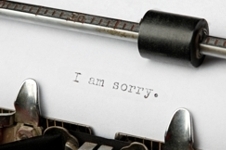 This part of an apology creates a whole new difficulty – sometimes it isn’t possible to make amends. As men, this is especially difficult for us to handle, as we’re fixers and doers. We don’t do well with situations we can’t fix. Even harder is that sometimes, making amends is not enough. Often, there are long term repercussions from our actions that we will have to face, and which we can’t always predict and prepare for. I can’t advise you for every situation, but I can say this: if you truly are sorry, you will find the strength to face them as they arise. One final thing that is important to bring up is this: never apologize or compromise for your deeply held beliefs. 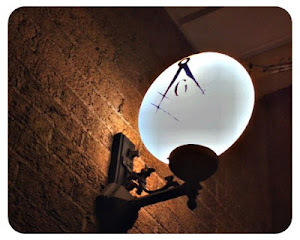 While we meet on the level, and must always strive to understand a belief structure that is different from, and sometimes challenging to, our own, you should never have to give up you core beliefs to be a Mason; indeed, if Masonry does anything very well, it is to help strengthen and clarify those beliefs in our own minds. So, putting it all into action, is a public apology I need to make: Brother Robert Johnson, I am very sorry that this article has taken so long to be produced. Daily life has gotten very strange, and I did not place as high a priority on it as it deserved. Moving forward, I plan to block out time for writing, so this does not happen again! Thanks for the insight Bro. Hard to do when you know you share some of the blame. Worse still when you blame another and they don't accept their contribution to the awkward situation.